In the framework of the valorisation of its patrimony, the Loiret signe in March a partnershipconvention with the Google Cultural Institute for the castle of Sully. Goal : making the Loiret's patrimony more accessible to a wider range of people and develop the valorisation of the castle by giving it an international visibility. Thanks to the digital tools and technologies implemented by Google, you can now visit the castle online, admire images in ultra HD of the Psyché curtain, discover thematical virtual exhibitions. In the framework of the Loiret's partnership with the Google cultural Institute, you candiscover an astonishing 3D view of the castle of Sully. To do that, planes equiped withcameras flew above the castle to take vertical and 45° photographs to model into 3D the exterior architecture of the location. To visualize this in Google Maps or Google Earth, yousimply need to activate the satellite mode. Thanks to the Street view capture technologies, you can visit the castle's outdoors and indoorsin an innovative and interactive way. From your computer or smartphone screen, places usually closed to the public are exceptionnally opened for you (towers and moats). To access this visit on your computer, you need to go through Google Maps and activate the Street View mode. You can also access the visit in enhanced reality with you smartphone by downloading the Street View App on the App Store or on Google Play. After finding the castle of Sully, you just have to put your phone into a special enhancedreality headset as seen on the cardboard. The result isfairly impressive! 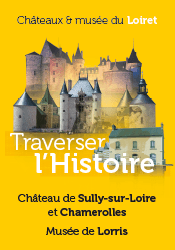 The castle of Sully finally offers to discover 3 thematical virtual exhibitions online. Thoseexhibitions are realized thanks to an important documentary fund, with more than 200 images uploaded on line on Google Cultural Institute’s website. Within the next months, otherexhibitions will be created by the castle you will be abble to find on this page.